1. 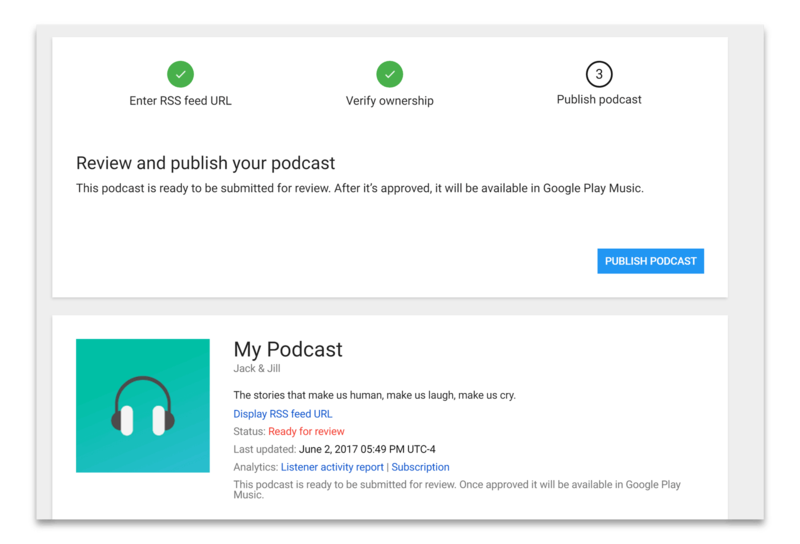 Log in to Google Play for Podcasts. Note: Google Play Music is not available in all countries. 2. Enter your Pippa RSS feed URL. If you don't know it, here's how to find it. 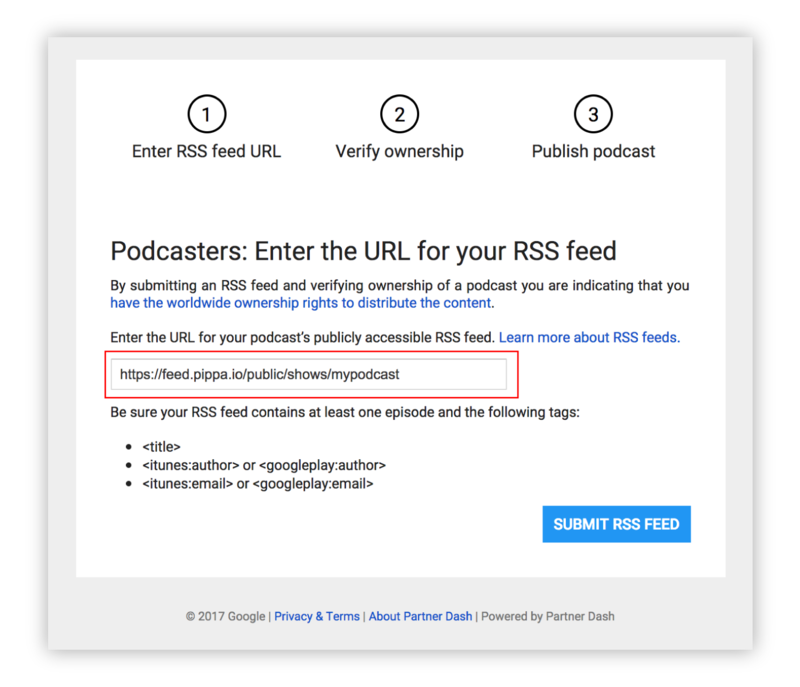 Note: If you get an error "Not allowed to crawl feed" this is just a bug on Google's side. Refresh your page, try again, and it typically works after a few attempts. This is the correct address. Pippa uses our default address to protect you from unwanted spam. 4. Check your email for a confirmation message. 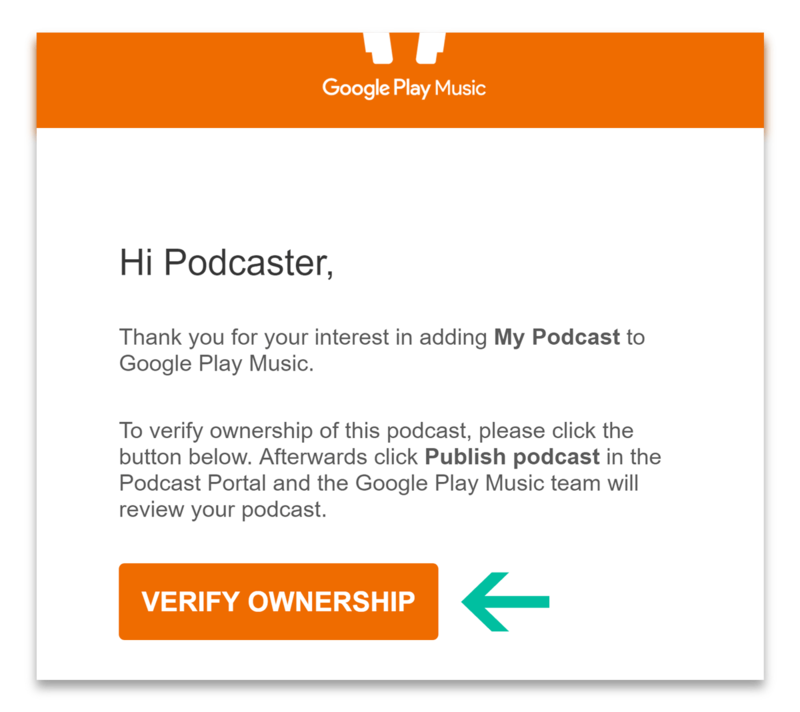 As soon as Pippa receives the confirmation email from Google Play, we will forward it to you. 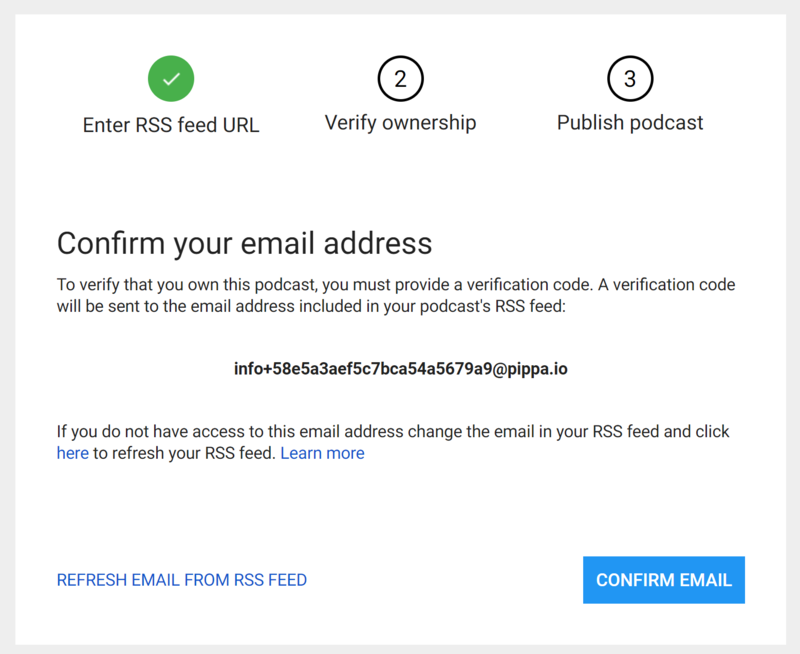 Hit Verify Ownership, and follow the final prompts.